The RedSeal Professional Services team has proven skills in network security architecture and operations. With in-depth experience across a variety of network environments, we understand and help you take on the challenges you face every day. RedSeal’s Remote Administrator managed service augments your security team with a dedicated, skilled network security engineer who will maintain and administer RedSeal’s network modeling and risk scoring platform. You’ll have access to up-to-date network data from RedSeal available whenever you need it— and your data will never leave your premises. Resolve issues quickly with expert customer support. RedSeal customer support engineers are dedicated to helping customers resolve issues as they work to analyze and improve their network’s resilience. They are experienced professionals with extensive security and networking expertise earned by working hands-on with the world’s largest and most complex networks. 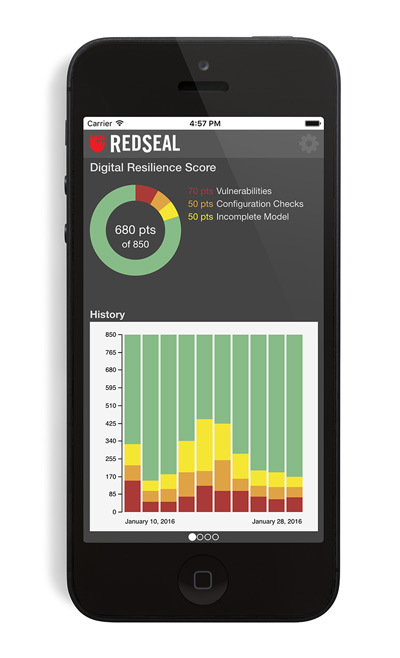 By building competence on RedSeal’s network modeling and risk scoring platform, you can become more empowered and confident in making your network more resilient in the face of cyberattacks and vulnerabilities. RedSeal University training will help you maximize your investment in network resilience. Our programs are available to anyone interested in learning more about RedSeal. By offering a blend of free web-based training, learning channels, and pay-per-seat live classroom experiences, we provide an opportunity for you to gain an understanding and further your knowledge of RedSeal’s platform. Whether you’re an end user or a RedSeal administrator, RedSeal University is an essential resource for advancing the knowledge, skills and abilities you’ll need to improve your network’s resilience.